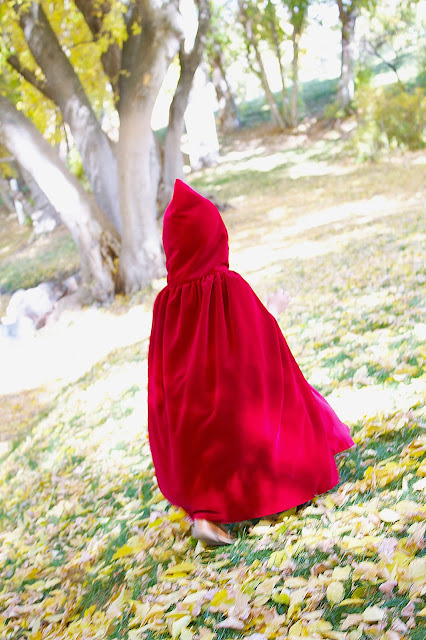 I want to teach you all how I made my 2 year old daughter this red velvet cloak with just one yard of fabric. It was so amazingly easy to make and it turned out way better than I could have hoped or dreamed. Keep scrolling for step by step instructions with pictures. Or, watch our VIDEO TUTORIAL below. First, meet Clara, aka Red. She is my very sassy two year old. 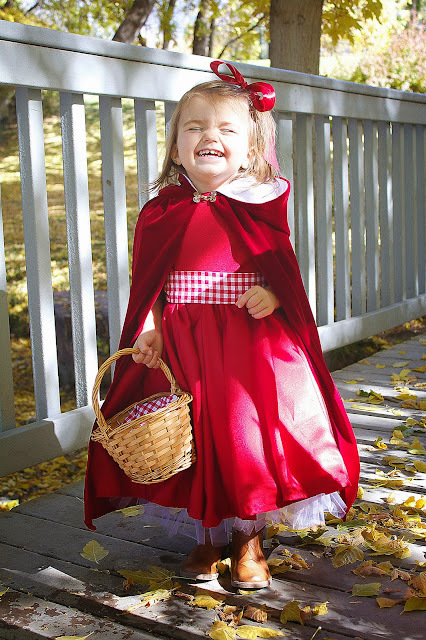 I totally had to bribe her with sweets to get her to dress up and smile. I also had an insanely good workout chasing after this girl today while trying to snap a few shots... I was literally jogging for about 20 minutes straight. No joke. First, I would like to give credit where it is due. Clara's dress is loosely based on this tutorial I found on Simple Simon and Co. I must give props to Simple Simon and Co. for the inspiration. Her petticoat was something that I just threw together with some tulle, elastic and white costume fabric. I may do a tutorial on this in the days to come if anyone is interested. 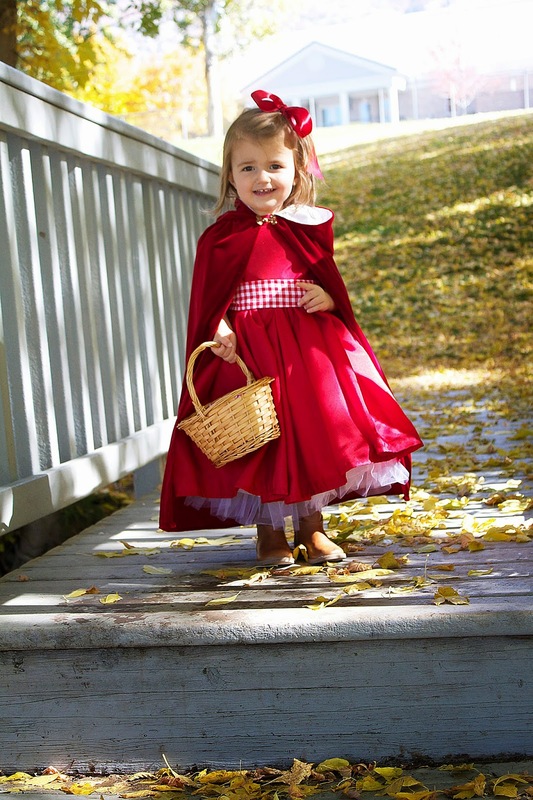 But, I think that this Little Red's cape is where it's at. Ok, here is what you need. 1. 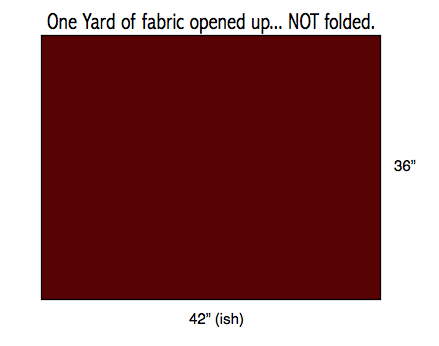 First, open your folded yard of red velvet fabric. 2. Measure your fabric to your subject. I got Clara to hold still for two seconds and measured the fabric to her shoulders, seeing where I wanted it to hit (mid calf). The excess fabric at the top will be used for the hood. 3. As pictured below, cut on the dotted line. You will have two rectangles. 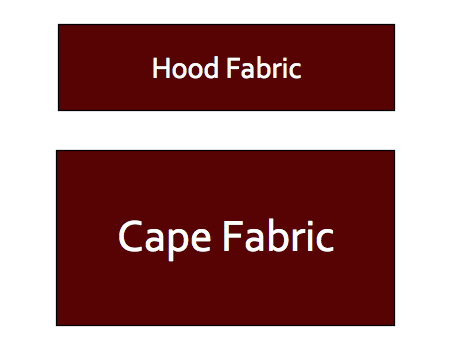 One will be for the hood, while the other will be for the cape. 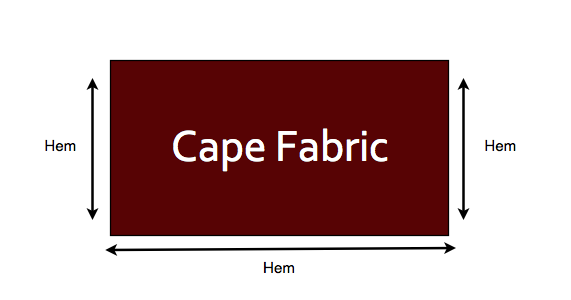 Place your cape fabric to the side. Let's focus on your Hood Fabric. 3. 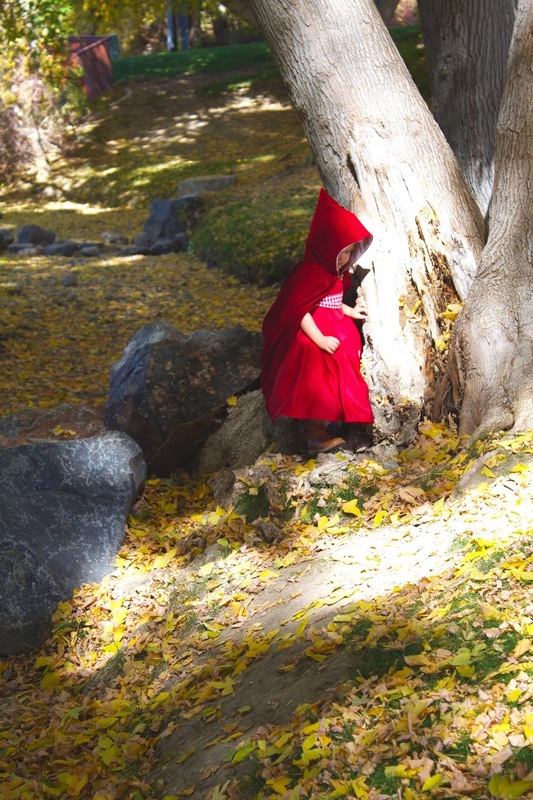 For a size 2T-4T here are the measurements for the hood. FYI, my Clara has had a head measuring in the 98% since the day she was born. 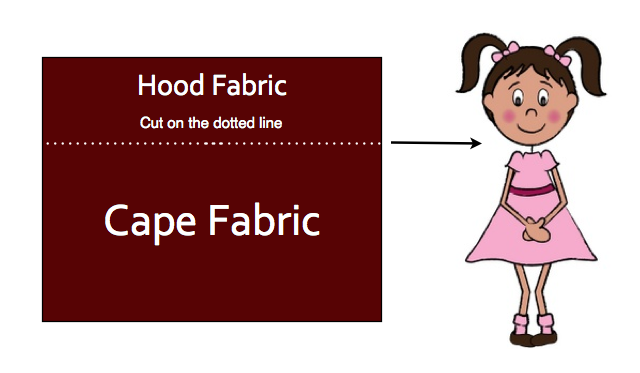 This may help you decide if you child needs less or more hood fabric. 4. Now you need a piece of white fabric to line the hood. I used white satin costume fabric. 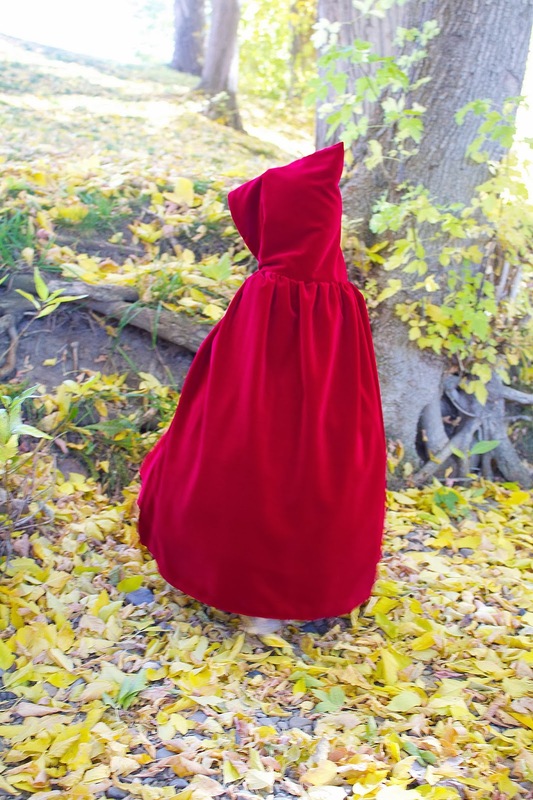 Simply cut a piece of white lining that is the exact measurements of your red velvet hood fabric. 5. Sew these two pieces right sides together. Make sure NOT to sew the bottom. Follow the image below. 6. This is the tricky part. You can do it. Now that you have three sides sewn, turn the fabric right sides out, meaning now you can see the right sides and the wrong sides are hidden. Press seams with an iron. 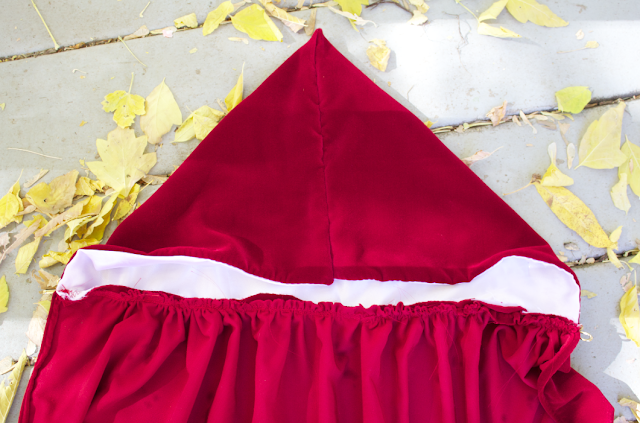 Now, simply fold your fabric hood in half hamburger style. The white lining should be on the outside. I promise is going to work. Now sew ONLY the TOP. This will be the top of your hood. 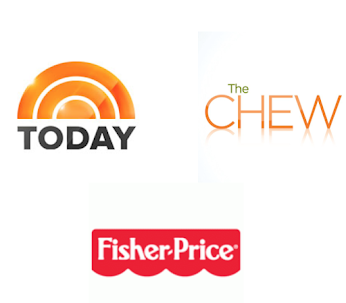 Look at the image below for further clarification. 7. OK, now fold your hood right side out. Does it look like a hood? You got it! See the seam below. That is the seam that you have just sewn. Just imagine it isn't attached to the cape yet. 8. 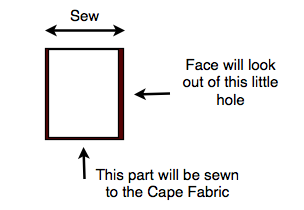 Next, take your cape fabric and hem along the edges shown below. It really helps to iron these hems before sewing. 9. Almost done! Just sew a basting stitch at the top of that cape. Now you can gather your fabric and attach it to the hood that you have already made. Let's revisit the last picture that I just showed you to explain this a bit better. I used a zig zag stitch to attach the hood. This will help prevent fraying. Last but not least, sew on your clasp or ribbons so that the cloak will stay put. This is adorable and perfect if you end up having to wear a coat due to cold weather. Nice job! Thank you! You are too kind! I am so glad that is makes sense! Thanks for the comments! It means a lot! Happy Halloween!!! 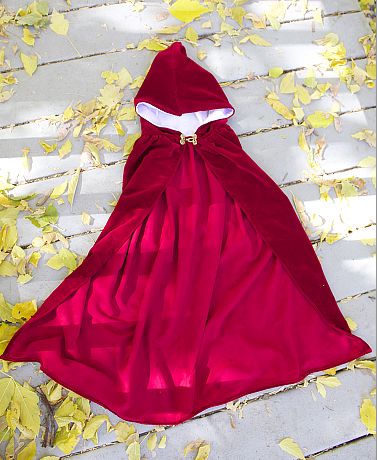 That cloak would also look amazing over a Christmas dress! Very pretty. I tried very hard to make this project this afternoon, but it doesn't look nearly as good as yours (I'm not a great seamstress!). One thing did throw me off. 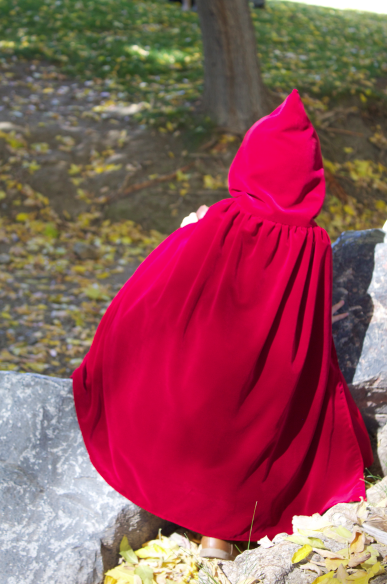 When you show the first cut of the fabric, you show it as 36 inches long, and then the picture shows the hood taking up about a third of it. But then the hood drawing shows it is 20 inches long a few steps down. Did the hood take up almost two thirds of the length? Or could the measurement be wrong? My hood seems huge. Thank you! Love the simplicity of this tutorial. A person like me needs all the pictures and details I can get! I followed the steps and the cloak turned out great! It is really a lovely cape and I can't wait to see my daugther wearing it since it was hear idea anyway!! :) Thank you for the detailed instructions! I am so glad it worked out for you!! Could you please explain to this novice what hamburger style means, when folding hood. Thanks. Think about when you are folding a piece of 8.5X11 white Paper. If the Paper is laid out horizontally (-) in front of you, and you fold the left edge to the right edge, this is folding the paper "hamburger style". If the paper is laid out, vertically (|) , in front of you, and you fold the left edge to the right edge, this is folding the paper "hotdog" style. 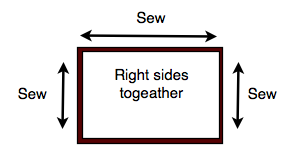 She wants you to lay the fabric out horizontally (-) and fold from left edge to right edge. :) hope this is helpful! Is there a chance that your measurements are off on your hood? I followed the 20x24 and the hood is massive. My little one is asleep so I can't try it on her, but I don't see it fitting. I am just wondering if I did something wrong. Thank you for your time with this tutorial. Wow! 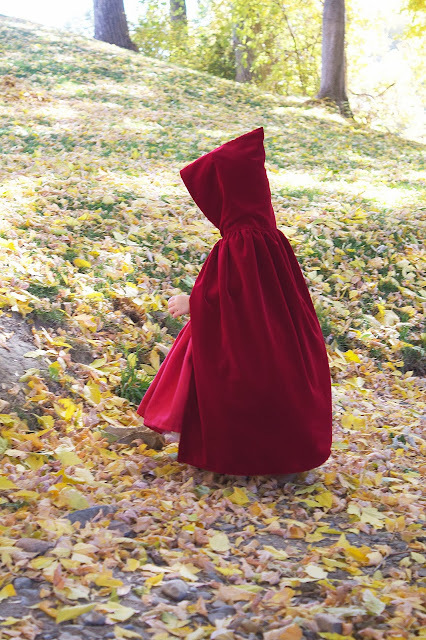 The cloak is beautiful and your instructions are quite easy to follow. I fully lined my cloak - a little more effort, but the end result is exquisite. My mom is going to make one and thought to use a flannel lining for extra warmth. My 20x24 hood was huge. I had the top pinned prior to sewing it; it fit me and almost fit my husband! I just put it on our tiny person and marked where her hairline was. Added a few inches and timmed it along the short sides and re-stitched the lining. 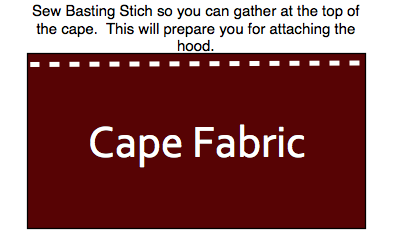 I used a different method for the cloak body but used these instructions for my hood. VERY easy and adorable! For my petite 15 month old, I used a 16X10 rectangle. Very cute Megan. 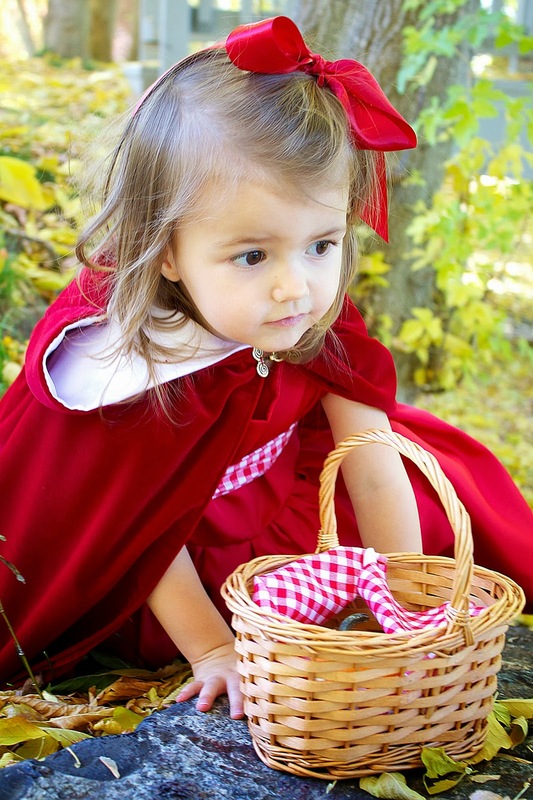 I have a question though - my older granddaughter is 3...and a bit taller than most 3 year olds. Can you give me material measurements for her? She probably wears a size 5 by now. Thanks for the tutorial! I'm a novice but managed to put together something pretty nice for my almost-two-year-old for Halloween (I used a lightweight stretchy crushed velvet). A note: the hood was way, way too long. I ended up cutting off the bottom 5-6 inches before sewing it to the cape. Also, the seam along the top of the hood made for a really unsightly lump at the center of her forehead. I ended up folding the entire front edge of the hood back a half inch and sewed it in place, and that fixed the problem entirely. Thanks again! Hi - I know this post is a couple of years old, but I would love to see the petticoat tutorial you mention above! :) Thank you for this lovely tutorial, and the ghost one,too! Thank you so much! I made this for my daughter yesterday (at the last minute, when I belatedly realized none of her costumes were warm enough for trick-or-treating), and it fit perfectly over her red winter jacket and hood. I made a "wolf fur" muff and matching cuffs to go over her black boots. Threw in a wicker basket for treats and we were set (for under $10!). If I had a little more time, I would have added the fur trim to the hood or cape, but the crushed velour looked great on it's own. She got SO many compliments! The pointed hood really is the key to this look, but as other commenters noted, the construction does create a bulky seam front and centre. Folding it under works, but a better option would be to have that seam at the back. I know this is an old post, but I just made this in purple (my daughter is a wizard for Halloween) and the directions were so easy to follow- thank you!! yay!!! 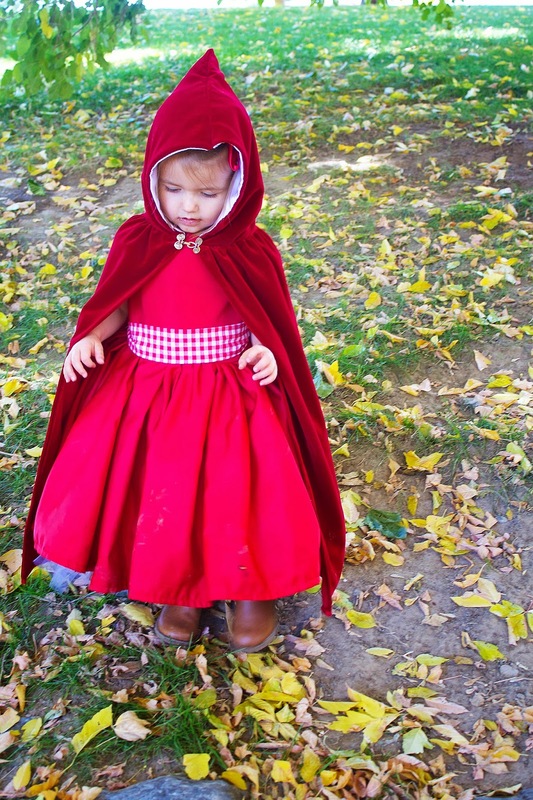 I am so glad that it worked for you little ones costume! Thank you for your kind words!! !